While the sources over the retail sources are pinching the media on the exclusive arrival of the new third-generation Apple TV sets in the desk at the third party retail stores directly from the Foxconn on the request of Apple. The sources over the media have confirmed independently that the new-generation devices start landing on the inventories of the third-party retailers, including the third-generation iPad. A couple of hours ago, we have reported you about the exclusive shipment of the next-generation iPad at the Best Buy retail stores located in the United States, for the exclusive availability of the device on the launch day. But now with a new twist in the report, some customers have started shouting on their social network accounts that they just got the confirmation email from the Apple over the shipment of the next-generation Apple TV, and as told by the FedEx folks their devices will be on the way to their doorsteps, as the device is appeared to be shipping a day before its official launch in the country by the Apple. 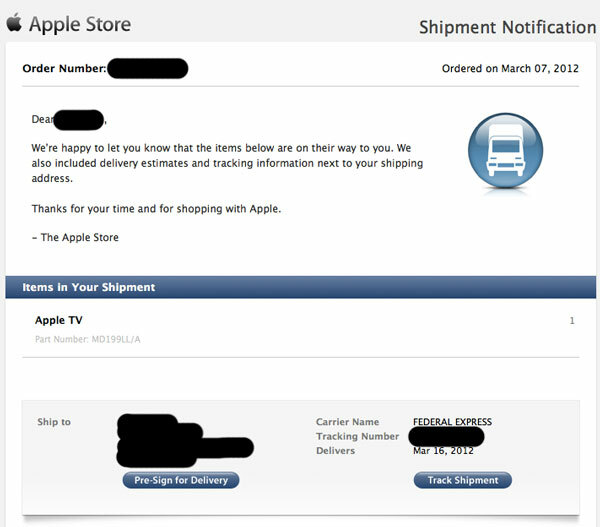 While Apple has told customers that the new 1080p Apple TV will arrive on their doorsteps by Friday, on the launch day but now with a twist in the story the device is scheduled to be shipping a day before the official launch. 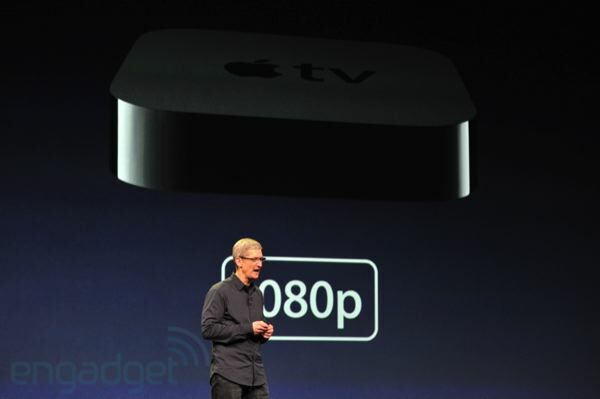 The new third-generation Apple TV is appeared to be a slightly upgrade from the older version as it carries the same dual-core processor from the Apple but now with new update from Apple, it is now started supporting the iTunes 1080p video content. Customers who have pre-ordered the new-generation Apple TV will get their device by Thursday or Friday, but to those who have missed the chance to pre-order the device have to visit their local Apple retail store to obtain the device from themselves.